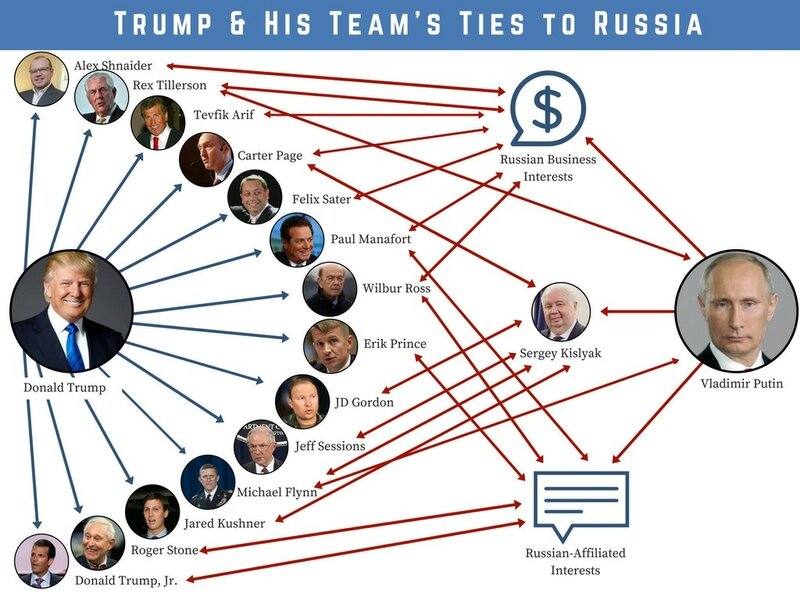 The connections between the Trump team and Russia are a tangled web of overlapping interests. The FBI has determined that members of the Trump campaign were in contact with Russia and it has been determined that they have misled the senate about their contact. Russia influenced the primary and election. Is there any historical background to something like this? We want our President protecting us - not the Russians. This is a blatant conflict of interest and brings into question the administration’s loyalties. If people in the campaign colluded with the Russians then the administration is vulnerable to blackmail. We want decisions made based on what is best for America – not a blackmailer. The Economist: The sacking of James Comey - Was Donald Trump being incompetent, or malign? HR.356 (Eric Swalwell’s bill) has support of 199 Dems and 2 Republicans. The House Oversight and Government Reform Committee has legal authority and the resources to investigate and hold Trump accountable but it’s chairman has shown no interest in pursuing this. The Office of Government Ethics has received 40,000 public queries and complaints about the Trump administration. Unfortunately, they do not have any investigative or subpoena power. The Justice department is led by Jeff Sessions who had to recuse himself from the investigation after lying to Congress about his own Russian contact so is currently lead by Rod Rosenstein but a special prosecutor is narrowly focused on crimes (versus what happened, which we want to know). The Senate and House Intelligence Committees are extremely partisan and underfunded. Unfortunately, the Senate Committee might be our best option at this point. The Citizens for Responsibility and Ethics in Washington, a government watchdog group, has filed some lawsuits. See here for more information. Call or visit your MoCs and the Department of Justice (1.202.353.1555) and demand an independent law enforcement investigation and a special prosecutor. See here for more information.